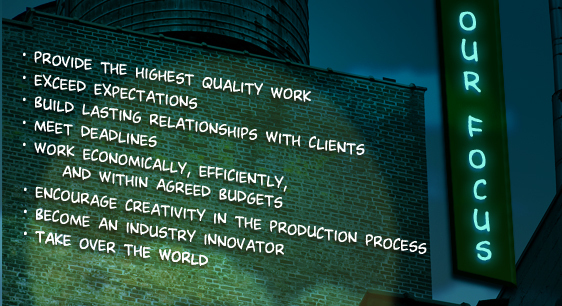 Our Focus — Creative video services for television, web, & beyond! Max Curious is fully committed to producing high- quality and highly effective videos at an affordable price. Video production is a collaborative effort. We work closely with our clients and make sure that budgets and deadlines are met. Our goal is to build lasting relationships with our clients based on the quality of our work, trust, and client satisfaction. Ultimately, we want to exceed expectations.